The financial health of your medical practice depends upon the doctors, nurses, other staff and your image as a leading healthcare practice. Good practice management also needs to take into account whether there is any money drain due to scheduling issues, unpaid claims, or ineffective technology solutions. Unfortunately, a large number of medical bills contain errors. You obviously want to keep them away from your practice. Billing errors can cost you a great deal. To avoid such errors in your practice, here are the most common errors you should watch out for. This is the most common coding and billing error. From incorrect patient information to misstating the number of nights a patient stayed at an in-patient facility, such mistakes can lead to the claim being denied by the insurance provider. Diagnosis and Treatment mismatch – payers may deny a claim because the coding of diagnosis and treatment do not match. Unbundling – the provider charges related services separately. Upcoding or Undercoding – bills don’t accurately represent the services received by a patient. How Can A Practice Avoid These Mistakes? Outsourcing billing to a professional medical billing service who have the latest technology and a large number of skilled staff to take care of your coding and billing needs. They can keep track of claims and denials in real-time. By reducing common errors, a medical billing service can help you preserve your bottom line. 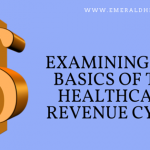 To learn more or to take advantage of specialized billing services, such as behavioral health billing services offered by the best physician and medical billing services, call Emerald Health LLC in Massachusetts at 855-650-9906 Today.